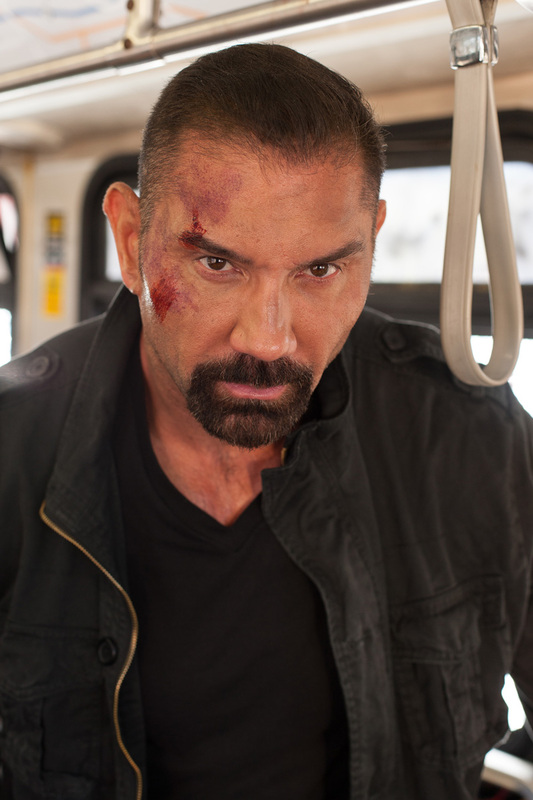 Filipino-American Dave Bautista, a mixed martial arts and wrestler turned actor who has starred in record-breaking films such as “Guardians of the Galaxy,” “Riddick” and the upcoming Bond movie “Spectre” stars in another high-octane, high-speed chase action movie “Bus 657” (also known as “Heist”) along with an impressive cast headed by Robert De Niro, Jeffrey Dean Morgan, Morris Chestnut, Kate Bosworth and Gina Carano. 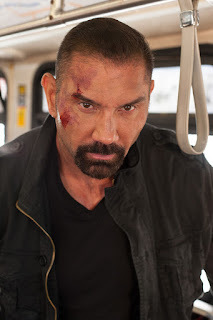 Bautista, also a world wrestling champion is known to do his action scenes without doubles as he had done in “Spectre,” and had quite doubled the effort in his chase and fight scenes in “Bus 657,” where he takes on the role of a casino worker turned robber who took on a highly-dangerous heist job against their employer. The movie’s non-stop action speeds up when Vaughn (Morgan) a father who is in desperate need of money to save his daughter’s life was rejected by his mob boss Pope (De Niro) and turns to his psychotic co-worker Cox (Bautista) to rob the casino where they work. 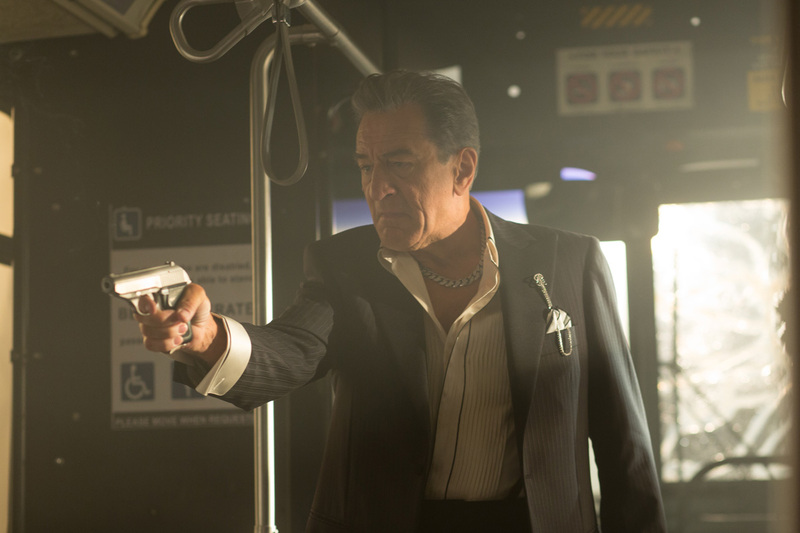 Although Vaughn, Cox, and an accomplice, Dante (Stephen Sepher), carefully plan out each minute of the late-night heist, Cox blows the timing, setting off alarms and a shootout with Dog and casino security. When Vaughn, Cox and a seriously wounded Dante narrowly escape with $3 million in laundered cash only to find their getaway car is gone, the trio runs through the night and boards Bus 657. 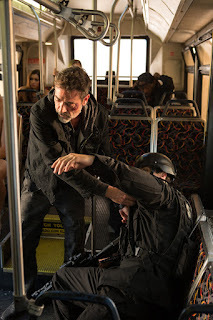 A police officer (Gina Carano) on patrol, having heard gunshots and sensing something wrong on the bus, signals for it to pull over. Cox panics, starts shooting out the bus window at the officer, and orders the driver (D.B. Sweeney) to keep moving and head for the interstate. Now trapped on the speeding bus with only hours left until the hospital’s payment deadline, Vaughn begins to fear all of this was for nothing – he’ll never get off the bus and make it in time. As Bus 657 races west on Interstate 10, with swarms of police, helicopters, and news crews following their every move, the desperate father and determined ex-con-turned-Baccarat dealer knows he has one chance, and no choice, but to play the hand he was dealt. 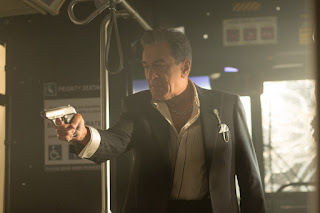 Reminiscent of action thrillers such as the Keanu Reeves starrer “Speed” and great heist movies such as “Ocean’s 11,” “Bus 657” also brings back Robert De Niro in a mob boss role at the heels of his iconic portrayals from classic “Casino” and “The Godfather” movies. 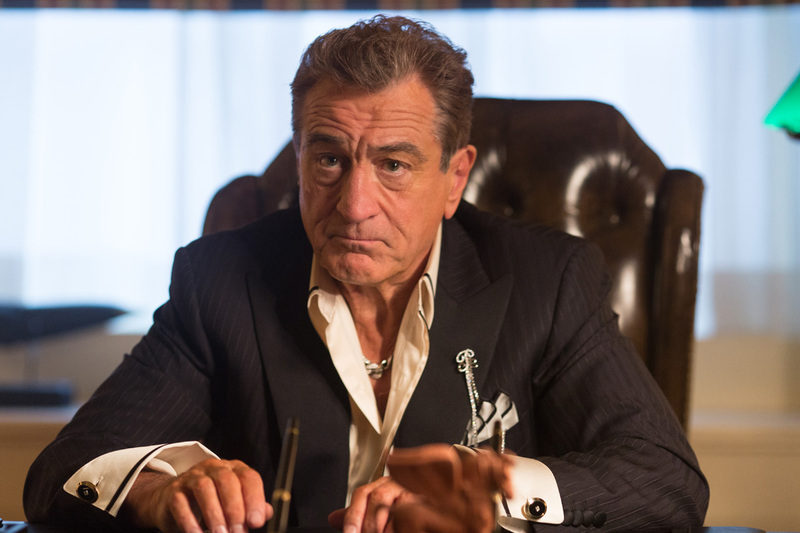 Taking on the role of menacing, ruthless kingpin in “Bus 657,” De Niro’s role as Pope isn’t one to let things slide when his two employees try to rob his casino and will take everything from them to get even. With its ticking clock, high-octane action, and high-stakes-heist-gone-wrong, Bus 657 had enough characters, events, and surprises to make for a thrilling, pop-crunching roller-coaster ride of a movie. 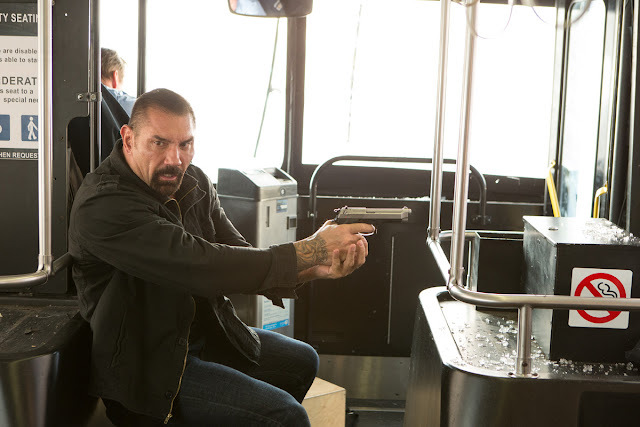 Directed by Scott Mann, “Bus 657” is a star-studded non-stop thrilling action movie that will open this November 11 from Pioneer Films. Watch the official trailer below.